Free monthly websites 2.0 is an opportunity for you to own a brand new content-rich website each and every month at no cost whatsoever. You can upgrade for an additional cost of $10 per month and that will give you access to a wide range of services which I will go into later on. 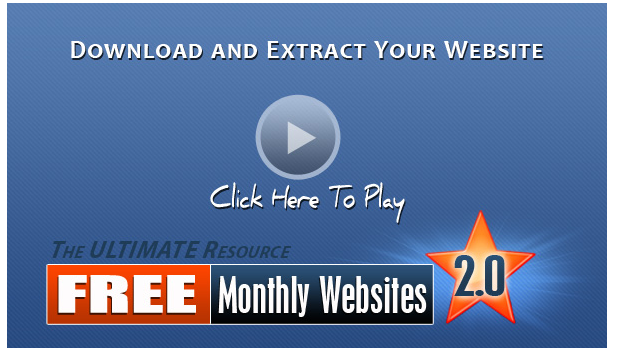 Free Monthly Websites 2.0 works by giving you a niche and Adsense ready website as a zip file. They offer websites created around all the popular niches like personal development, health and wellbeing, internet marketing and many more besides. The best way to use the free sites is to buy a domain name and then opt for a hosting package. All you need to do then is unzip the free website files to your computer and then upload them to your host provider. Don’t worry you will be able to host multiple sites with one domain. They provide some very detailed training videos, which talk you through setting up your site. You can be up and running in no time. 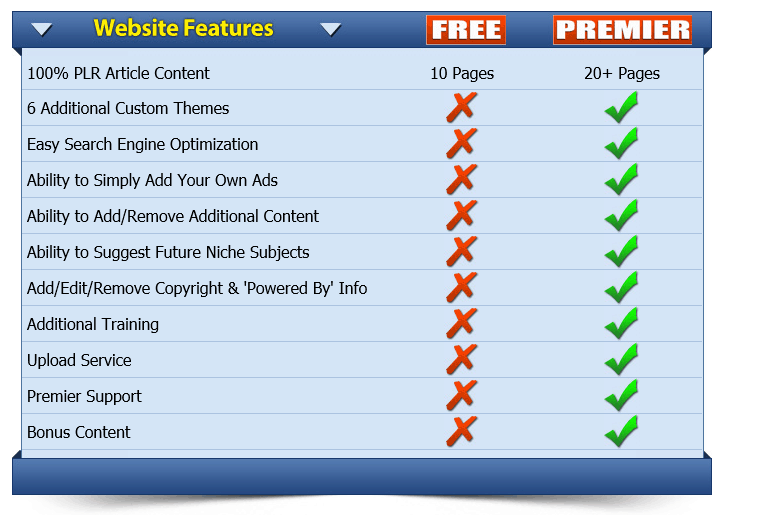 Can you make money with Free Monthly websites 2.0? You can make money in a number of ways with free monthly websites 2.0. You have the websites themselves which are Adsense ready. Each preloaded offer on your website has your Clickbank affiliate link in it, so if you are lucky enough to start getting website traffic quickly. You could be earning within a couple of hours. They also offer a great recurring revenue affiliate programme which can help in paying for your business costs. 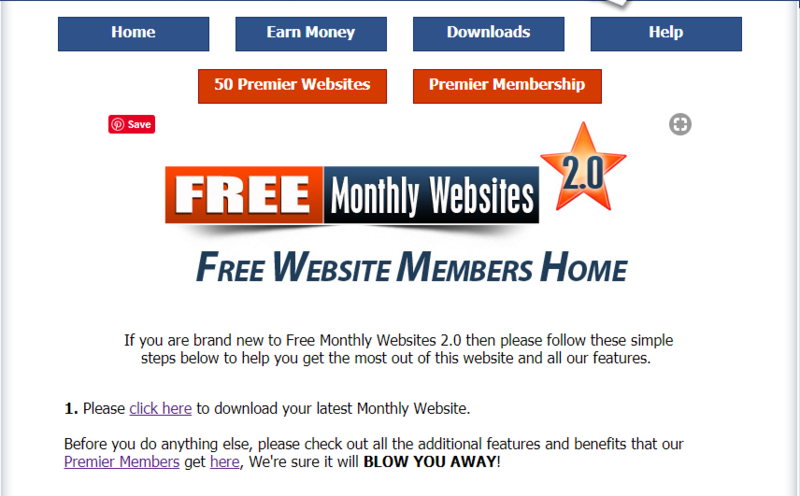 Is Free monthly websites 2.0 a scam or legit?. Now just a word of warning….. The websites come preloaded with content, which is unlikely to be unique. As you can imagine, if these guys have 20,000 customers all uploading the same websites to the internet. Chances are Google won’t rank you very highly as you will not have unique content. So it is advisable to change or amend the content on your website before you set it to go live. You are able to add your own unique content, images, videos and anything else that you wish to use as part of your marketing strategy. Like I said if you don’t upgrade you will still get a Free Website every month. The owners of this great service make their money by placing small adverts on the free websites that they give you. As long as your promoting these new sites then it’s a win, win for all concerned. Is Free Monthly Websites 2.0 worth it? Obviously, if you are a free member it is certainly worth it as you get so much help and guidance to get started that you can’t fail. I have provided a comparison table for you to see the benefits of free versus pro. But if you really want to turn this into your own cash machine, then Pro is the way to go. Add your own ad’s to your site instead of the prefilled ad’s you get with the free websites. Remember if you control the content then you decide what additional revenue streams to plug into your site. If you are just getting started on the internet and you are really looking to get started quickly. Then I recommend Free Monthly Websites 2.0 as a good place to start. You will have to learn a few basic skills but I can assure you that once you know how to do the simple things you will feel great. I still get a buzz out of setting up a new website, whether it is one I have built myself on WordPress or one of the websites that I have got from the FMW team.